(CNS): Seven more patients with suspected dengue fever have been reported to the local health authorities this week officials said Thursday. After no new cases were reported during the previous week hopes that the fever may be slowing down were dashed. Of the seven suspected cases only one of the patients had a travel history to an endemic country. None of the people reporting dengue symptoms were admitted to hospital. From the latest cases only one was from West bay which is where most of the local transmissions have occurred. Another patient was from Bodden Town and the remaining five were from George Town. The public health department said that only one result was received during this week from an overseas laboratory used by a private physician which was positive for the mosquito transmitted disease. So far results have been received from 110 cases with 41 positive cases 4 that were inconclusive the rest were negative. There are still 24 results pending. Of the 41 confirmed cases, 12 have reported a travel history to endemic countries and 29 had no travel history which means they picked up the disease in Cayman. Most local transmissions have occurred in West Bay where 29 people have caught the disease. Only three people who contracted the disease here were from George Town and the other two were from Bodden Town. A certified Business Advisor, Ebanks was Business Development Advisor with the Cayman Islands Department of Commerce & Investment. 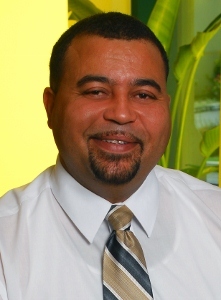 He has a Diploma in Management Practices from the University College of the Cayman Islands and has worked in the private and public sectors for the past 16 years. His last project with the civil service was to establish the Special Economic Zone Secretariat, which is charged with processing and licensing the companies in that virtual zone. 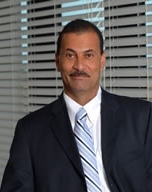 During his time at the Cayman Islands Investment Bureau he traveled extensively throughout North America, Europe and Bermuda promoting and marketing the Cayman Islands as a jurisdiction of choice for institutional business. He has also worked in the DoT, where he managed the Travel Consultants programme amongst other duties, which also included travelling to “many trade and consumer shows including DEMA and the World Travel Expo”. Ebanks’ also temporarily worked in DoT’s United Kingdom, New York and Miami offices so that he could better understand the country’s overseas operations. A native of the Cayman Islands, he has been involved with many various community projects, including the year-long Quincentennial celebrations, and leading over 200 plus volunteers for the Cayman Islands hosted Florida Caribbean’s Cruise Association’s Conference (FCCA) in 2007. He has been appointed to sit on public boards/committees including the Labour Tribunal as Chairman and Deputy Chairman, and was appointed by the former governor, Peter Smith, to the Parole Commissioners Board. Ebanks is the current District Representative for West Bay under the National Hazard Management Agency, where he played a vital role in management of the West Bay Shelter’s operations before, during and after hurricane Ivan. He was also awarded Civil Servant of the Year in 1998, having been in the service just two years at that time. Ebanks describes himself as being trained up to represent his community from when he was a young man of nine years old. Ten Caymanian students will get the opportunity to participate in CCMI’s Young Environmental Leadership Course (YELC), which aims to introduce them to the role of the environment in everyday life, including it’s economic significance. The students spend two weeks at the Little Cayman Research Centre (LCRC) working alongside scientists and researchers, while learning about conservation and marine science. All participants are trained by professionals throughout the course to complete their dive certification up to instructor level. In addition to dive training, YELC introduces its students to marine conservation theory, the marine environment and tourism, including environmental threats. Each theory class is supported with vocational experience, to enable students to apply what they learn in a practical setting. Local business owners in Little Cayman help YELC students understand how the environment and the community are closely linked. Work experience placements are provided for students on completion of the course. Early in 2012 juvenile Nassau Groupers were discovered by the CCMI team in shallow lagoons around Little Cayman. These fish are economically and ecologically important, but are listed as endangered. The discovery of juvenile grouper has led to a joint project with the Cayman Islands Department of the Environment intended to describe and map the fish’s habitat preference around Little Cayman. Since 2011, CCMI and the University of Florida have collaborated to study several aspects of the invasion of the Indo-Pacific Red Lionfish. The Red Lionfish has ‘invaded’ waters throughout the Caribbean, where its presence is thought to threaten the ecological balance of native species in the region. Lionfish culls are carried out weekly in Little Cayman and to minimise numbers. The CCMI hosts an annual lionfish culling tournament, which is open to the public in Grand Cayman. With the support of Foster’s Food Fair IGA and the Guy Harvey Ocean Foundation, native fish surveys and diet analysis will continue through 2013, which will give CCMI scientists a robust dataset with which to draw new conclusions about the impacts of the invasive lionfish in Little Cayman and help them minimize these impacts. (CNS): Stories that have surfaced on the worldwide web suggesting that the ten year permit introduced last year by the former UDP government have attracted1000s of workers in the financial services sector to Cayman are completely incorrect. The immigration department confirmed that since the new extended permit was introduced, less than five applications have been made. Although work permit figures have increased in 2012, this is mainly on the lower end of the scale. Reports of a surge in financial sector workers flooding to Cayman are exaggerated, with few of the numerous policy changes throughout the life of the former government resulting in much of an increase in senior workers. The ten year permit was one of several tweaks to the immigration law made by the UDP administration as the former premier, McKeeva Bush, had insisted that it was Cayman’s inflexible work-permit policies that were putting off investors. However, the numerous regulation changes and amendments to the law making it easier for high net worth individuals and people working in the financial services sector to have more security in their immigration status appear to have made very little difference. The chief immigration officer confirmed that, following the introduction of the ten year permit last year for the funds and reinsurance industries, there has not been much response nor have the permit waivers on support staff for the reinsurance industry been taken up. “We have seen very few persons take up this option,” said Linda Evans, adding that less than 5 people have applied for permits to the 10 year limit. “I am only aware of one person seeking the waiver of fees for the specific administrative occupations in those industries. Whilst we have seen an increase in work permits overall over the last 12 months, the permits are mainly in the lower skilled jobs which do not attract the 10 year term limit,” she said. While Bush has persistently pointed to immigration issues as being one of the major barriers to the growth of Cayman’s economy, the former premier did not get around to directly addressing the most pressing problem of the country’s seven year work permit limit for most workers, known commonly as the rollover policy, despite the findings of a review which suggested it should be abolished. With the interim government now appearing reluctant to make any major moves before the election, the rollover can has effectively been kicked down the road for the next administration to deal with it. The introduction of Term limit Extension Permits took several hundred workers temporarily past their lawful departure point. However, they will expire this October leaving the tourist sector, in particular, facing the possible mass departure again unless the next administration can address the issue in a matter of months. (CNS): The overseas territories minister has asked the local government to allow official observers to cover the Cayman Islands' general election. Premier Juliana O'Connor-Connolly has said that Mark Simmonds made a formal request when the new government delegation went to London at the beginning of this year for a team to be present in May, although no specific concerns were raised. The premier stated that CIG was not opposed in principle but observers could not be allowed to cast a shadow of suspicion over Cayman's long held successful election record because of perceptions over the government transition in December. She said the attorney general was checking if the election law would need to be changed to facilitate the watchers but early indications were that the decision lay in the hands of the elections supervisor. At the Thursday morning press briefing O'Connor-Connolly said that with a good track record of free and fair elections for many decades, the idea of having observers in Cayman could not be allowed to tarnish that image. The premier read from correspondence between herself and the UK minister on a number of issues, including the desire on the part of the FCO that observers were welcomed by CIG for the upcoming elections. Simmonds said he supported the invitation of observers as it was good for the democratic election process. The FCO minister pointed out that observers had taken part in the elections in both the BVI and TCI and he believed that the officials there could attest to the success. O'Connor-Connolly said that no decisions had yet been made and the governor was discussing the issue with all parties, in particular the supervisor of elections, as it would probably be his decision in the end. The premier said she did did not get the impression from her meeting with the UK minister that his request for the observers to attend the Cayman elections were as a result of any specific concerns about past elections or any potential issues with this one, as Cayman had a reputation for holding successful free and fair elections. Nevertheless, while these days observers were generally invited into countries where democracy prevails, because of the timing so soon after the local transition of government, O'Connor-Connolly said she did not want people to feel that the observers were coming because something was expected to go wrong. The timing referred to by the premier relates to former premier McKeeva Bush's arrest on suspicion of theft and offenses under the anti-corruption law which resulted in an opposition no confidence motion in the Legislative Assembly, supported by some members of the then government. This resulted in the collapse of the UDP administration led by Bush and a transition to the now minority government and its very public split from the UDP. O'Connor-Connolly said it was important that the success to date, and the high standards set by the Elections Office, under the supervision of her former chief officer Kearney Gomez, was acknowledged. She said Cayman had set the standard in the Caribbean for elections and the team had done “a wonderful job”. The premier said that having observers would be a new element to the election but there was no fear about them on the part of government. However, she said, there had to be level playing field and she wanted to ensure the observers were not limited to the UK personnel but included commonwealth members and that there were no hidden agendas. 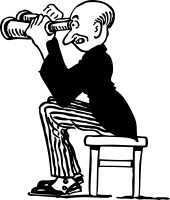 “We wouldn't want anyone to think there is evidence of a need for observers,” she said. “We need to weigh in the issue of interpretation when balancing the decision.” The premier warned that the very act of “sunshine” on the election would be undermined if it brought cloudiness. Deputy Premier Rolston Anglin added that while election observers may have been something that signaled concerns or only invited to attend elections in fledgling democracies, in recent years they have attended elections in major democracies, including the UK, France and the USA, because having observers around elections now was a demonstration of transparency. Anglin confirmed that the issue had first been raised at the Joint Ministerial Council with the Overseas Territories in London before December so there was no direct connection to what happened in December. (CNS): The planned new young offenders and remand facility is facing delays as a result of budgetary constraints. Despite the need for the centre to be finished by 6 November of this year to meet the government's constitutional and human rights obligations, the new minister responsible, Dwayne Seymour, said that the project is under review in an effort to find possible cost reductions or get approval from the UK. 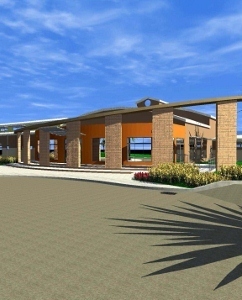 Although the foundations have already been completed at the site and a tender process on the main building started, the development is on hold until the government can either cut the costs or get permission to spend the more than $10million that the centre will cost to complete. The project is being managed by the community affairs ministry and was started by the former minister, Mike Adam. However, speaking at the weekly post-Cabinet press briefing on Thursday morning, Seymour, who is now the new minister in charge, said that while the project was not being stopped, it was under review because of the costs and the requirements of the Framework for Fiscal Responsibility (FFR) agreement with the UK, which is now part of the Public Management and Finance Law. Sources had advised CNS that tenders had been sought and submitted at significant cost to the contractors involved but they were not being informed about the current situation, leading to fears that the project may have been shelved indefinitely. However, government has an obligation as a result of the implementation of the bill of rights to ensure the separation of young offenders from adult prisoners and to providea secure safe place for young people held on remand when accused of a crime. The youth centre was supposed to be open by 6 November, a date which is now very unlikely to be met. Seymour said the project was still on-going but government was seeking legal opinions on the ramifications of the centre not being ready on time in relations to its obligations. But in the face of the FFR and budget restrains, Seymour said, the centre needed to get approval from the FCO and the governor was looking into the relevant issues which had come up and the cost. Seymour said the ministry had to demonstrate value for money with the project and all angles were being examined to justify the need for the centre to the UK's officials. Chief Officer Dorine Whittaker said the ministry was meeting with public works to examine where cuts could be made but she confirmed that the centre would still follow the Missouri Model and the costs issues would not impact the goals to introduce the modern and much lauded system for dealing with young offenders. (CNS): The suspended CEO of the Cayman Islands Airport Authority is facing a long list of accusations relating to serious mismanagement at the airport and the misuse of public money. From boozy lunches for staff who were on duty, as well as flying lessons for an employee running a private flight school to unexplained thefts, hundreds of thousands of dollars appear to be misappropriated, according to a confidential report. The document and a bundle of supporting evidence was leaked to MLA Ezzard Miller, who says he is deeply concerned that more than two months after Jeremy Jackson was suspended no action has been taken against the airport boss and no information given to the public about the serious allegations. Miller, who represents the district of North Side as an independent MLA, said the report and the stack of evidence was placed in a sealed brown envelope and left in his truck recently. He passed the documents to CNS because he said he was concerned that after so long knowing about these issues and in the face of damning evidence, the board has still not acted. Although the financial officer was fired from the airport in December, Jackson remains on suspension. CNS contacted the board, the acting airport manager and the minister who is now in charge, but both Richard Arch, the board chair, and Kenrith McCoy, the acting CEO, made no comment when asked if Jackson was still receiving his full salary, whether the findings in the board’s report had been passed to the police or when the public were likely to be informed about what had gone on at the authority, which is one of the few government owned companies that is profitable. It seems, however, that the CIAA could be even more profitable if money had not been misused over the last four years, as documented in the confidential report. The report details the failure of the airport boss to deal with a theft of some $100,000 from the airport. The CEO had told the board that the person who was suspected of stealing the money had been terminated and he had left it at that. However, because the staff member was terminated on the grounds of poor performance, she left with a cheque from the authority of over $16,000. In addition, following her departure a further $21,000 was stolen without any explanation. None of the incidences of the theft were brought to the board’s attention, no investigation was carried out and no disciplinary action taken. The report also notes that theft is still prevalent at the airport. The report lists a catalogue of expenditures which should not have been made or authorized by the CEO, from the use of various contractors without any contractual agreements or approval by the airport board to the financing of the former chief financial officer’s permanent residency at a cost of $15,500. The security unit was also making up its own working conditions, which the CEO had condoned, despite the fact it was costing the airport significant sums of money as staff were working a favourable shift pattern of four days on, three days off, forcing the recruitment of more people to cover the airport security, which the board said was one of its most costly areas. The CEO also approved a significant amount of expensive overseas training programmes for airport staff which were not relevant for their jobs, including enhanced flight training for a private pilot who was making money from his license outside of his job by giving flight lessons. The report also lists a catalogue of expenses run up by the staff, all of which were signed off by the CEO, on overseas staff jaunts and retreats. Many of the expenses signed off by Jackson included expensive liquor bills, which is against government policy. In one case the bar bill at a staff safety training meeting was over $17,000, an irony not lost on the board. Regular development lunches at restaurants all over Grand Cayman were also paid for on the airport credit card, which included booze, despite the fact staff were returning to work. The report shows that the CEO was authorizing his own credit card payments, and before her departure the CFO was also signing her own cheques, including the one for her PR application, the document reports. Miller told CNS that he was very disappointed that the board has refused to make any comment about the situation, which is evidently very serious, and he said action had to be taken. “I don’t see why the board has not acted, given the serious misappropriation of public money,” Miller said. “I do not see why this is being kept in the dark and it is unfair to everyone involved to allow these issues to drag out without resolution. I am also disappointed that despite being asked, the board and management are not prepared to offer an explanation about what is going on,” the MLA added.